This being his so called “final image” (again?) Virtualman promises an image to end all images, nicknamed “Retro Paradise” and heavily based on 2Plays playbox with even more scripts, tweaks and modifications, this -could- be the best image yet we have seen from Virtualman. I’m like a band on a never ending tour like KISS but I truly love doing this but it’s really consuming my life and have to take a very long break. I have gone through this build inside and out (so many things behind the scene/fixes you won’t see from presentation but I aimed for “Pi-rfection” to give you best user experience and stability Pi has to offer! If I were to make another build in the future, it would be 512GB “PALLADIUM” Edition on Pi4 2020! 1. What this means only on FIRST BOOT you will see splash screen video load, right after you will see blank cursor. atari5200 96 Some games require tweaking, switch emulator from none lr and should be good. fds 128 You may get occasional prompt to swap disk like good old days “Please set side A or B …” – it’s bound to L (shoulder button) press once and done. scummvm 93 Top Collection 100% tested – 90% are cd based quality games and optimized games that leverage keyboard. *snescd (msu1) 15 100% tested with custom video snaps. Custom overlays/bezel by (ransom) – it’s exactly same games as SNES but with added CD quality music/sound. x68000 100 Top Collection – 100% tested – Controller friendly, some games will require keyboard. zxspectrum 183 Top Collection – you may have to switch controller type to Sinclair 1/2 or Keystone in Retroarch. Best experience with keyboard. amstradcpc 112 Top Collection – you may have to switch controller type to Amstrad Joystick/Keyboard in Retroarch. Best experience with keyboard. ti99 90 Top collection – you will need keyboard at all times, not controller friendly (not lr base emulator). – N64: I was rather tired of hearing people complain so I only focus on games that actually run well and pre-tweaked for you this time around with stock clock. – Dreamcast: All games I have tested in this build and works and playable with stock clock. You can switch emulator to tweak for performance boost. – Non liberator emulators (reicast, drastic, OpenBOR etc…) don’t follow the same rules for controller configs, so you may have to plug a keyboard to configure initially only once to your own controller. – I was using Xbox 360 usb controller, so all should work plug/play as is. But it does support several controllers please refer to retropie.org.uk. – Anyone using 8bitdo controller fix long lag loading issues with Retropie 4.4.x!! Depending on your controller type (in my case I was running 1.27 Firmware SN30 and was experiencing this long load issue for any emulator) – YOU MUST UPDATE YOUR FIRMWARE of the controller to latest in my case 1.29 and works flawless! – Reconfigure controller and your good to go will also fix initial bind issues with left and right trigger. – 4K TV’s or DMT Monitor: Image is tailored 1080p 16:9 out of the gate. – On your specific monitor/tv, you may have to switch picture mode 16:9 to “fit to screen/auto” depending on your tv model. – For BT controller use Pi built in BT to connect NOT a dongle. For dongle it has to have a sync/connect button or if you disable the onboard Pi BT then ok to use a dongle. – PLAYBOX is Pre-Enabled usb mode, so what what this means you also have the option to burn to external HDD without the need of SD card and your Pi3B or Pi3B+ will boot. – MK3 Arcade tends to lag, but your best to play Ultimate Mortal Kombat 3 (runs flawless from Arcade). – Crackdown Arcade tends to lag, but playable (OC may help) – (runs flawless from Sega Genesis). – SORR (Streets of Rage Remake) Ports – Only way to exit game is to use a keyboard pressing Esc. However there is a workaround using controller to exit: Change the game video to scanline, and go back (causes the game to crash and exits). – ES quite / shutdown – might boot you out of the terminal (sporadic) – this is known issue with ES 2.8.3 and dev team is looking into it. It is suggested to update Retropie and all core apps to 4.4.12. – ES crash free (all xml/artwork gone through, cleaned up with xmlvalidation.com and optimized/fixed snap/images to avoid any memory leaks/ES crashes) with current ES version2.8.3. – Tweaked EmulationStation (Options and Kodi to be first in list and rest alphabetical to make it easier to find). – Fixed Mastersystems emulator to use custom view port so it aligns with bezel (assuming your using 1080p required setup). – Enable Interlace On/Off only has to be on for Pro Pinball Series games, it’s set and no need to do it manully as it will obey game override/game config now. – Wing Command IV will boot now only from source at this point. 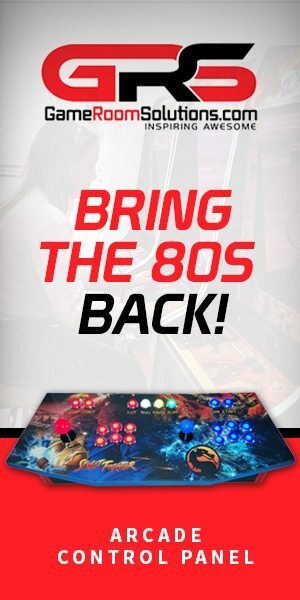 – Fixed and tweaked all Arcade games with proper emulator & bezel/overlay settings and video alignment (tested one by one). – Fixed: Arcade games like MortalKombat, Wrestle Mania Arcade have built in diagnostics to increase volume, enabled dip switch and set to max volume. – Fixed: SNES Star Fox and Star Fox 2 loads now with proper rom in place. – Fixed: Arcade did full pass of all games and set proper bezel (I may have missed 1 or 2 but just press X+Select and set it to standard MAME/Final Arcade vertical/horizontal). – Fixed: Scummvm set all games that require keyboard to old emulator and at same time made it compatible with ES to support artwork and can revert back with lr-scummvm has better support for those specific games. – Fixed: Quest for Glory 4 Scummvm – (Could not pass character creation new lr-scummvm) – now configured to use old core emulator and works. – Fixed: Broken Sword 2.5 – The Return of the Templars (Audio was not working with new lr-scummvm) – now configured to use old core emulator and works. – Added missing video snaps for Scummvm (had to create them manually). – Updated Retroflag safe-shutdown scripts (pre-installed). – Cleaned up and fixed several retroarch global overrides and directory overrides is way to go now. – Revamp/Addition: Amiga and Amigacd32 have been completely revamp roms in order to support new WHDLoader so you get a fast loading experience. – AmigaCD32 top 25 some of those games are actual CD format cue/bin file and will load properly as we had to tweak es_systems and amibery emulator to make it load. – Using new SDL2 enhanced binary… GPU accelerated displays in SDL2, so it will be super fast and smooth regardless if it’s on a 640×480 surface or a 1080p one. And it will always be full screen, automatically keeping the correct aspect ratio. on 1080p …, the GPU will do the scaling. – Removed: Attractmode pre-install state to save space but you can still install Attractmode from scripts menu. – Updated RetroPie and all core applications to 4.4.11! – Updated OS Kernel and Firmware to the latest! – Added several more custom collections that you can enabled and expand on. 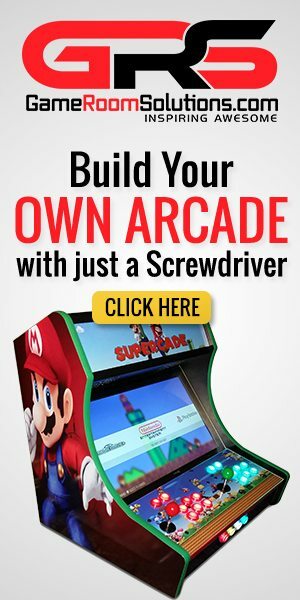 – Enabled retroachievements.org (you will need to register account) for any given system. – Updated all Playbox base scripts to be Upgrade friendly without impacting other dependencies. – OC and fixed scripts have been optimized. – Fixed some DC games not loading. – A Dreamcast soft-reset (A+B+X+Y+Start buttons at the same time) at the ROM’s title screen will also take you into the Dreamcast BIOS to manage the VMU’s. After formatting VMU’s, exit the emulator and reset. – Or you can simply remove ../configs/VMU…bin files , emulator will recreate them as empty files. – Added new emulator lr-reicast emulator (Testing all games 1 by 1! )- BGM will resume now instead of reset a new track 🙂 between playing games. – Converted to ogg format with consistent standard encoded rate and saved space. – Attractmode has been removed but you can still install the front-end (scripts menu) is the 2.5.1 Hyperpie Edition customized further by 2Play! Its compiled and added from scratch and not from Retropie Setup. More details in PDF. – Completely cleaned and revamped all artwork (skraper.net) and all gamelist.xml have been optimized and validated error free! – Custom ES Theme Collection (Virtualman’s Arcade Old-School) collection – 425!! – Custom ES Theme Collection (Virtualman’s Racing) collection – 200+!! – OpenBOR with Top 50 games exclusive for first time on this image and have been added with unique xml/artwork by Virtualman. 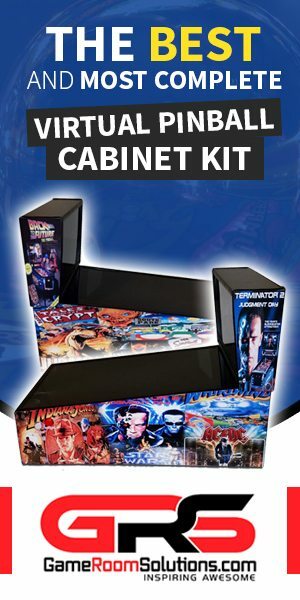 – 100% Pre-installed ARCADE BEZEL PROJECT Enable (Arcade and Vetrex), configured and tweaked with proper emulator and BP bezel applied when applicable. – Clean up script of unneeded media (mixart/boxart/cartart/wheel/snap – for roms that not present it will remove media to save space). Pre-ran the script to save you all space. X or Y (insert quarter) and Start to begin game. – Select will exit emulator. – To exit, use right analogue left and select exit emulator. – Start and exit from menu. – By default with emulator it’s set to L (shoulder button) press once and done. 1. Zelda II Nes – overlay won’t stick , simply apply ../Boarders/Nintendo.cfg overlay and save directory override not core.